Spring beats the flags of nations. Thanks so very much, Ana! 🙂 Far too many are obsessed with rags on sticks. Wonderful verse. Love the light in this photo! Thanks, Belinda! 🙂 Far too many are obsessed with rags on sticks. We all should have written it, Mitza! 🙂 Far too many are obsessed with rags on sticks. 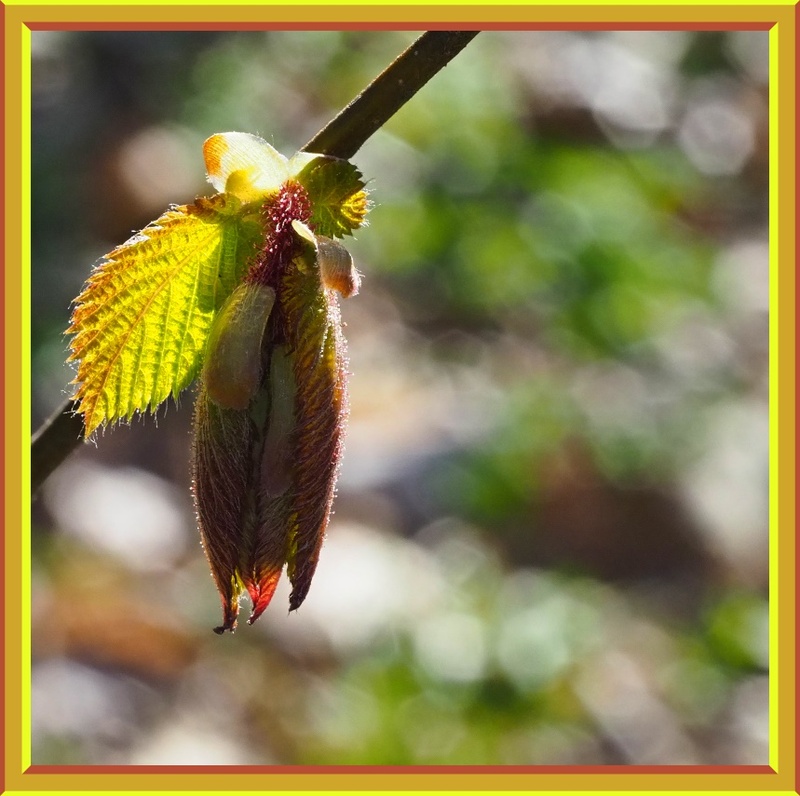 I like that sun shining through the leaf and I’ll bet by day’s end that leaf has unfurled. Our trees look ready to burst … it was the two 85-degree days likely put then into gear. Far too many are obsessed with rags on sticks. Looking forward to the cooling trend. Though I swore I’d not complain about the heat after our cold and snowy Winter, I fell back to my old ways, but it was too hot. At least I could give the furnace a rest and shut it off and didn’t turn on the A/C. GORGEOUS image! And yes – Spring outwaves any flag. Flags! A primitive tribute, they are, to tribalistic divisiveness! Even as a kid one realized how utterly idiotic they were! What a lovely image, beautiful! 🙂 “Sweetness unfurling…” so nicely said.